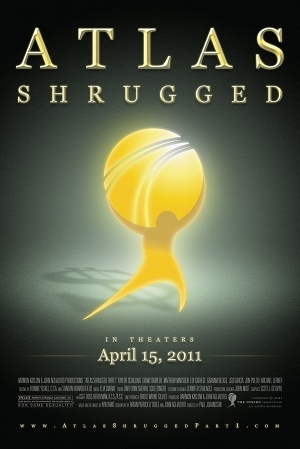 "Atlas Shrugged" is the odd film about eccentric wealthy people joining a cryptic group that promises them they will be able to flee society and live according to their full potential, lead by someone named "John Galt." The name is invoked so many times in the film, in the question "Who is John Galt" that after a while it becomes plain annoying. This is just the type of eccentric, strange film Hollywood loves about cryptic, cultish behavior that makes no sense to anyone with any sense. This movie bombed badly, as it had no appreciable story line or big names. Just weirdness. It should be called "Movie Shrugged."